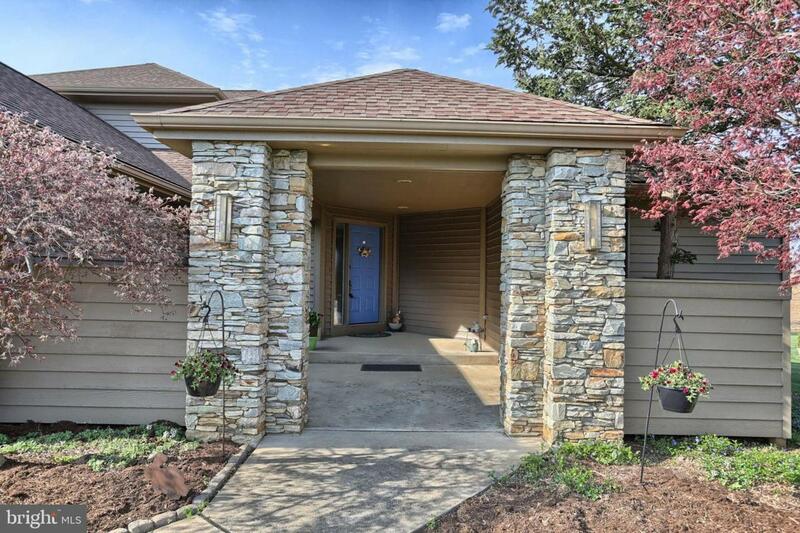 A beautiful stacked-stone entrance graces this gorgeous home and escorts you into the comfortable sophistication of this lovely, immaculately-maintained home! A sunken living room is adorned with an owner-designed mantel that frames a wood/gas fireplace, and is complete with a wet bar and beautiful view of the homes surroundings. This room beckons you to relax in its comfort. The open-floor plan adds to the warmth and endless entertaining possibilities. The contemporary kitchen, boasting beautiful cherry cabinets and minimalist characteristics, also lends to friends and family gatherings in this area. Two large main level bedrooms along with a full bathroom and 1st floor laundry offer the ease of one-floor living, if you choose. Otherwise , you can make your way up the the lovely curved staircase, where a master bedroom suite awaits you. This spacious suite contains a beautiful bedroom, spa-like bathroom with separate privacy room, and huge walk-in closet. The lowest level of the home offers many possibilities! This expansive space, which includes a beautiful stacked-stone fireplace, dining area, bedroom, and bathroom offers the potential of in-law quarters, or additional room for family or guests. Another large room here offers options for additional storage, exercise equipment, an office, crafts, or a haven for your children...many possibilities abound! 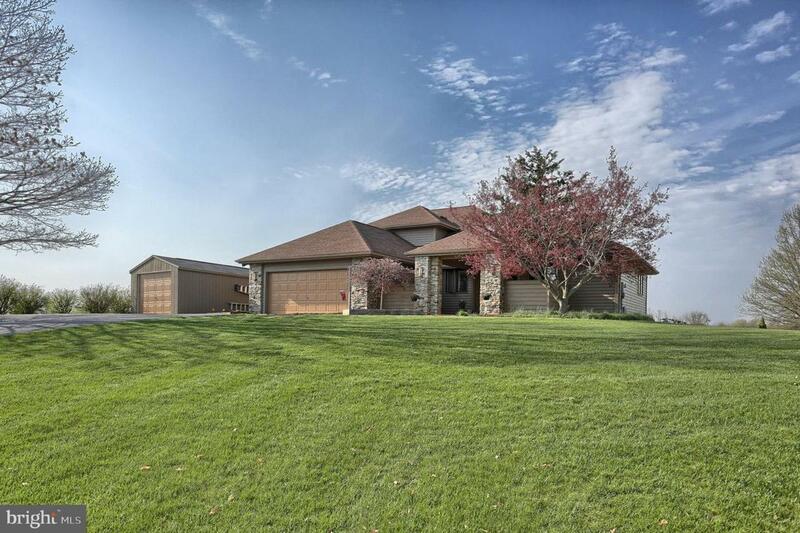 This space opens up to the outdoor entertaining area, complete with a beautifully hardscaped space where you can relax and take in the view of the farmlands and wildlife that frequent this 7 acre property. 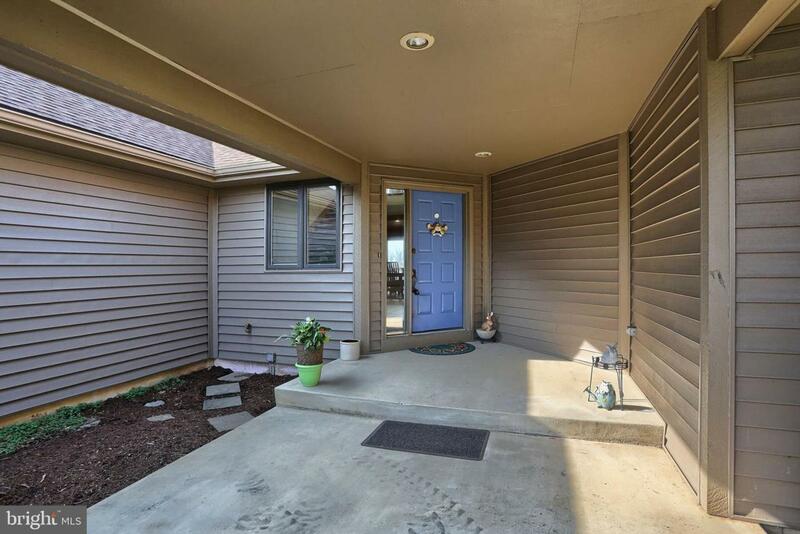 Additional amenities found on this property are an Invisible Fence, security system, and recently added Trex deck. 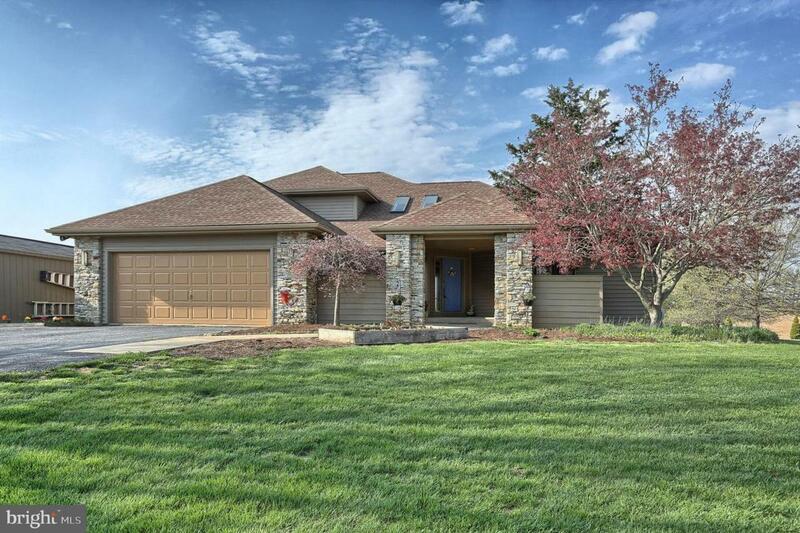 Schedule a showing of this beautiful home, and all that it offers, today!